What happened on Hall 17-H06 at CeBIT 2016? Abstract: CeBIT is Europe's best attended trade fair, a measure of the state of the art in information technology. The CeBIT 2016 wrapped up on 18th, March. Visitors have learned more products adopting advanced technology, while exhibitors have made full use of this opportunity to demonstrate new products and exchange experience to learn from each other. Whereas, the Hall 17-H06 is specially abustle and astir. What happened on Hall 17-H06 at CeBIT 2016? Visitors have learned more products adopting advanced technology, while exhibitors have made full use of this opportunity to demonstrate new products and exchange experience to learn from each other. However, the Hall 17-H06 is specially abustle and astir. What happened on Hall 17-H06 at CeBIT 2016? From the title, you may wonder which company is located on Hall 17-H06. Airwheel, through years' hard work and hard research, has been broadly identified with producing products that are concise in size and user friendly by design. Airwheel has made full preparation to attend the big event, with its former popular products, such as one wheel scooter X series, twin-wheeled electric scooter Q series and saddle-equipped electric scooter A series. 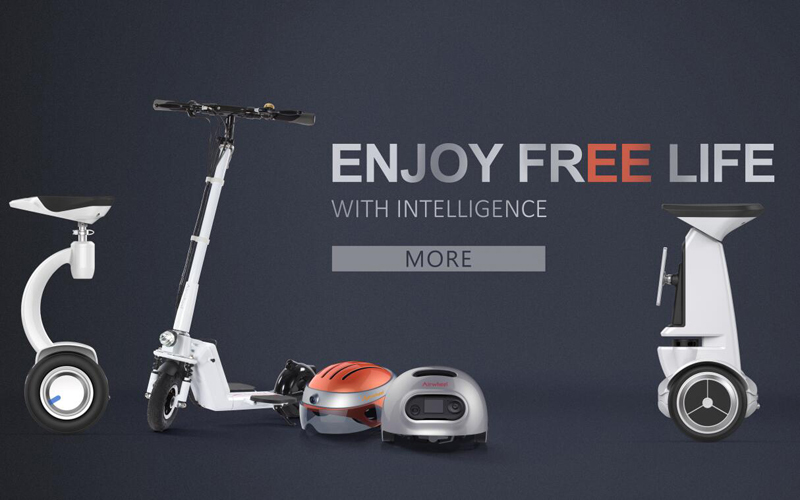 Other than that, the highlight is the new products involving four series of six brand new products, ranging from the 2-wheeled electric scooter to intelligent helmet C series and wheeled robot S9. On Hall 17-H06, Airwheel rolled out several new products on end. 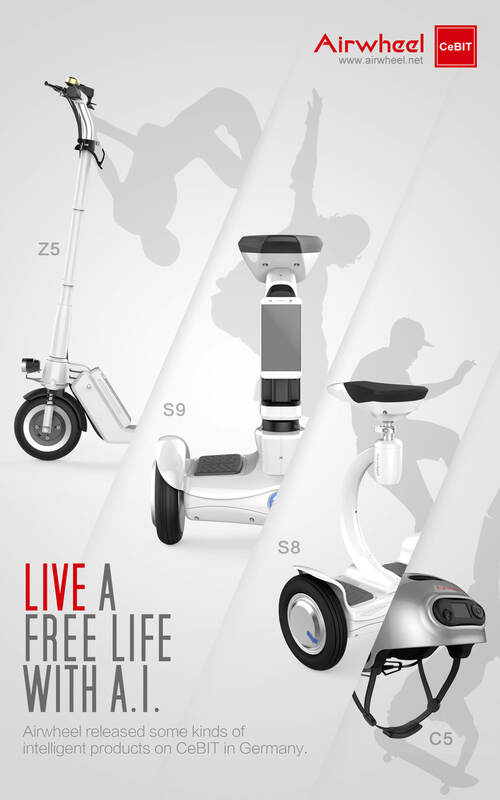 Airwheel Z5 standing up electric scooter is highlighted by triple folding system, modular design battery with USB power supply interface and intelligent brake taillight and headlight and so on. Airwheel S8 two wheel saddle-equipped scooter, featured by multi-pose controlling system, C shaped and adjustable operating rod appeals queued visitors to have a trial ride. The new C series of intelligent helmet for road safety, C3 and C5 meet the demands of ordinary players and geek players respectively. TheUnbreakable product, of course, is the Airwheel S9 two wheeled self-balancing robot, a millstone for Airwheel's further R&D emphasis.